Captain Jack Sparrow always seems to come out on top. Just look at all the crazy things he’s had to endure during the Pirates of the Caribbean movies. His ship, the Black Pearl, has been stolen from him on numerous occasions. He was once cursed by some kind of ancient blood curse. He had to battle Davy Jones’ Kraken to the death. He even had to hang out on a deserted island when there was no more rum left! What a travesty! However, if you’re trying to become a pirate captain like Jack, there’s no need for you to go through all of that hardship. You can just wear this deluxe Captain Jack Sparrow costume. Yes, you don’t have to cross swords with Barbossa and you don’t have to take one look at Davy Jones’ ugly squid-face. 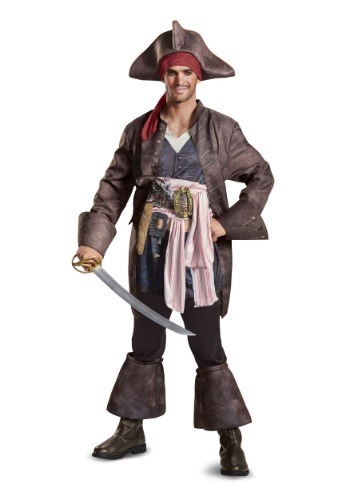 All you need to do is wear this licensed Pirates of the Caribbean costume. It’s based on the outfit worn by Johnny Depp in Dead Men Tell No Tales. 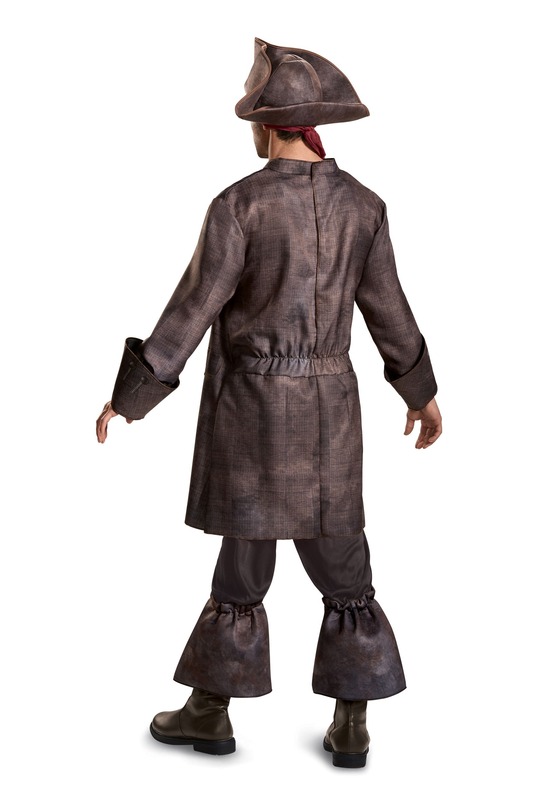 The costume comes with a printed tunic and an attached coat, along with a pair of belts with attached buckles. It even comes with a faux fur tail and sash. Combine them all and you get a great look that’ll have you ready to swashbuckle your way through any dangerous situation (provided you have a healthy supply of rum beforehand). Just make sure to study Jack’s signature swagger before you head out in this costume. Everyone will be expecting you to stroll and slur just like the infamous pirate captain!